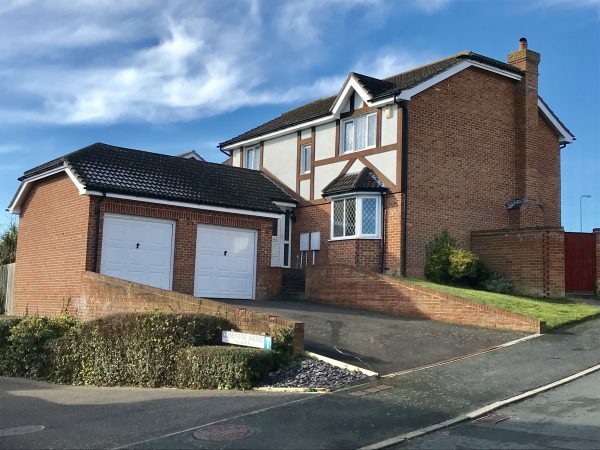 A well presented detached house situated in this popular residential area about a mile and a quarter from Seaford town centre and railway station. Local shop and bus route are nearby. The light and spacious accommodation comprises entrance hall, cloakroom, sitting room, dining room, study and kitchen/breakfast room with adjoining utility room. On the first floor there are four good sized bedrooms with the master bedroom having an en-suite shower together with a spacious family bathroom. There is a double garage with loft storage area approached via large drive-in for several vehicles. Other benefits include gas central heating and uPVC double glazed windows and external doors. Attractive rear garden being enclosed by a brick built wall and laid to lawn with part paved patio.